Rachael Sporn represented Australia at three Olympic Games, winning two Silver Medals and one Bronze Medal as part of a core group of female athletes that stamped the Australian Opals firmly on the psyche of the Australian public in the 1990’s and on the world basketball map. She was the Basketball Australia Female International Player of the Year in 1993. She also is a seven-time WNBL All-star five member, five-time league champion, and two-time league MVP. She is the all-time leading points scorer and rebounder in WNBL history and she continues to hold the league record for most rebounds in a game, with 27. She was drafted to the WNBA by the Detroit Shock in 1998 and went on to play 71 games in that league. Played at three World Championships– 1990, 1994, 1998. Seven-time WNBL All-Star Five selection– 1992, 1993, 1994, 1995,1996, 1997, 1998. Played at three Olympic Games– 1996, 2000, 2004.
International Player of the Year– 1993. Won two Olympic Silver and one Olympic Bronze Medals- 1996, 2000, 2004. 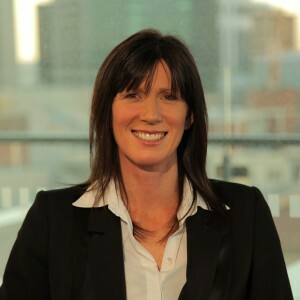 Five-time WNBL Champion– 1990, 1994, 1995, 1996, 1998. Two-time WNBL MVP– 1996, 1997. Drafted to Detroit Shock in the WNBA– 1998. Played 71 games in the WNBA. Inducted to the Basketball Hall of Fame As a Player- 2007.